The easiest way to sell books online! 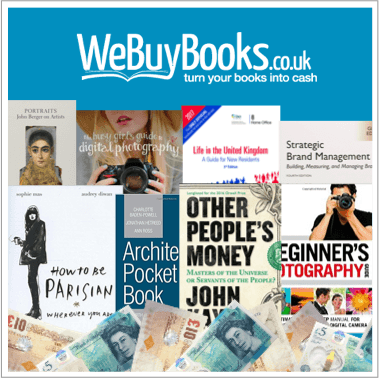 Whether you’re short on cash, downsizing, planning on updating your literary collection or looking to declutter your home, you can sell books online right here at WeBuyBooks along with CDs, DVDs and video games, and it couldn’t be any easier. How do I sell my books online? Get paid the day after we receive your items! 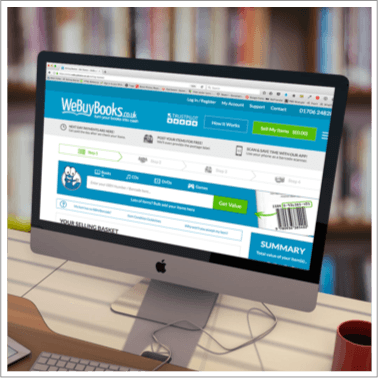 Here’s why WeBuyBooks is the best place to sell books online! What are the best books to sell online? Check out the WeBuyBooks hot list for more information on what books are fetching the most money right now! What condition do my books need to be in? Check out our item condition guidelines for more defects to look out for! What are you waiting for? Grab a book and try us out today! Simply head over to our selling basket and start selling your old books online! You’re just moments away from decluttering your home whilst making some money along the way! 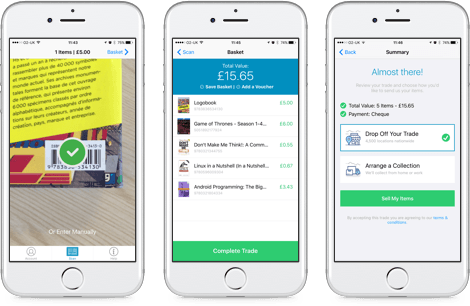 It’s even easier to sell books online with our brand new mobile app. Turning your mobile camera into a state of the art scanning device you’ll be able to find out the value of the books you’re looking to sell with one simple push of a button. Did you know, you can also sell DVDs and Blu-Rays online at WeBuyBooks! Got a question? Want to know how to get 10% EXTRA on your next offer? Like us on Facebook or Follow us on Twitter for all the inside gossip! Stop the press! 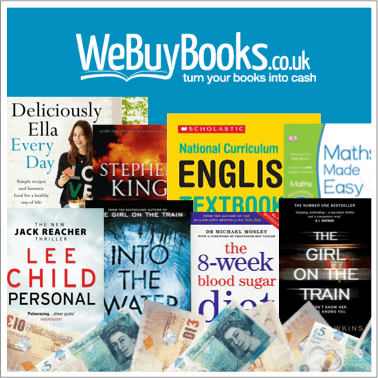 You can now sell DVDs online to We Buy Books, along with CDs and games. Making money selling books has never been easier, so what are you waiting for? Head over to our selling basket NOW!